One of the more gruesome crypto creatures made a frightening return to Malaysia over the holidays. 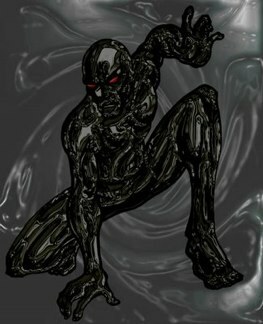 The Oily Man (Orang Minyak) is a supernatural creature covered in black grease that crawls into the homes of families and rapes virgin daughters. This is unique as far as crypto creatures go for one key reason. It’s a supernatural creature that operates like a home invader. It’s not out in the wilderness where humans rarely operate (Bigfoot, Chupacabra et. al.) nor is it trapped in a house with history beyond the previous owners like a ghost. Hell, even vampires normally have rules about private property. But not the Oily Man, he just breaks right in like a common hoodlum and takes what he wants. The legend has at times created mass hysteria, according to Wikipedia. With young unmarried women in student dormetories sleeping with sweaty men’s clothing so as to trick the OM into thinking they were with a boyfriend. You are currently browsing the archives for the Oily Man category.